Business and government agencies today are faced with an increasingly complex and time-consuming array of regulations and laws which can prove to be overwhelming. With legal and other professional service costs escalating, many companies do not know where to go for assistance. The Alman Group can provide that assistance. Alman brings a proven management model to every client project. By bringing together experienced professionals who possess diverse public and private sector expertise, Alman renders a comprehensive approach that ensures success. The Alman Group employs six registered legislative agents to service all of your business and governmental needs. Alman is able to represent you or your company before the State Legislature, as well as before any state, county or local department, board or agency. 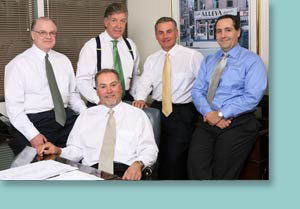 Alman’s professionals have a vast amount of experience in working with governmental agencies for our clients. We are able to represent you concerning legislation, regulations, permitting, dispute resolution, project management and any other type of action relating to governmental functions. Our professionals include former members of state, county and local governments who have an extensive knowledge of government with the ability and experience to identify and work with the proper officials to service your needs. Land Use Permits include Wetlands, Stream Encroachment, Coastal Area and Waterfront Development Permits, Sewer Extension Permits and Water Allocation Permits. Solid and hazardous waste facility approvals, licenses, modifications and permits. Site remediation approvals including brownfields, voluntary cleanup program, ISRA and underground storage tanks. Alman will guide you expertly and efficiently through the complexities of governmental regulations. The Alman team identifies and works with key decision makers at the appropriate governmental levels to service your business needs. 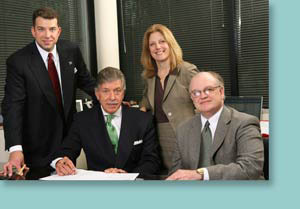 The Alman Group provides expert management services to businesses and governmental agencies. In the face of declining revenues, increasing demands for service, reduced staff, increasing competition and shifting governmental policies, Alman provides a wealth of management services through its team of proven government and business managers. Alman’s professionals possess a proven record of success in organization downsizing, needs and capabilities analysis, strategic management, business plan development, revenue or cost analysis, organizational review and management training. The Alman Group provides accounting financial services through its operational affiliate, Mango & Huber, Certified Public Accountants. John R. Mango and his team of Certified Public Accountants possess many years of successful experience in analyzing operations and developing strategic financial plans for businesses. The Alman Group and Mango & Huber combine their vision, skills and resources in a cost-effective manner to enable their clients to reduce losses, increase efficiency, and develop a strategic business plan to anticipate and profit from emerging economic conditions. All areas of public and private financing are handled by John R. Mango and his team of professionals who provide a refreshing difference from what we think of as the “traditional” accountant. 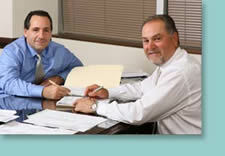 Mango & Huber is your business advisor and financial planner in addition to being your accountant. Businesses today are faced with ever increasing competition for limited markets in which to sell their products and services. In order to compete successfully, businesses must maintain and improve their current clients’ satisfaction and must develop a concise and comprehensive marketing strategy to identify new markets and expand their client base. Often the problem faced by businesses is one of poor image or, simply, the inability to “get through the door” to make that sale or convince the prospective client of the merits of your products or services. The Alman Group specializes in targeting your market goals and gaining access at the level required to reach a decision maker. This referral based marketing approach, supported by the development of client surveys, brochures and flyers, advertising and market analysis, creates an integrated program to effectively grow your business.